Why has Oracle bought Sun? I doubt it was for its hardware manufacturing capability. Oracle has an ecosystem too based around other hardware vendors for Oracle to want to provide serious competition, writes Ronan Miles, chairman of the UK Oracle User Group. Also, Sun has been suffering of late. I doubt it has anything in the labs that could be an HP or IBM killer. Some believe Oracle would like to prevent IBM from picking up the Sun customer base - but we should remember that IBM has a very strong Oracle practice, so the idea that many customers could be won over to DB2 does not really hold water. Oracle would consider even one customer loss as too many, but this would be an expensive way of keeping those customers. Of course, I am sure Oracle will continue to support existing Sun customers - it has an excellent record of protecting customers' investments. So what the future of the hardware and the customer roadmap looks like will be something to anticipate post-completion. That only really leaves Java. 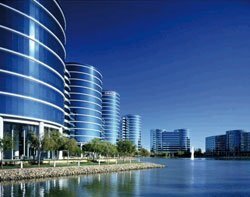 This acquisition puts Oracle firmly in the centre of the Java world. I think the Java community has viewed Oracle with suspicion. Certainly in the early days there was a feeling that Oracle would like to make Java proprietary. But it has to be said that those who know Oracle well would see that as unlikely. However, as Sun has continued to own Java rather than donate it, time will soon tell who is right. From the Oracle viewpoint, acquiring ownership of Java is a logical step in its Fusion strategy, which has driven Oracle's acquisition strategy since it began with Peoplesoft. The Oracle Fusion strategy bets the company on a Java/middleware-based platform around standards-interfaced packaged applications, coupled with roll-your-own applications relying on Java for high-performance integration. Oracle has a habit of taking risks like this, having already bet the company on the internet in the past. While Oracle would probably have had few qualms about Sun continuing to drive Java had Sun had remained financially healthy, it would be a bigger risk had Oracle allowed Java to go to someone less committed to open systems. Considering this, the acquisition of Sun becomes a given. Fusion will give the partner ecosystem a lot of opportunity for components that can integrate into customer solutions, but Oracle would not want to allow a central component such as Java to be at the whim of players it is not intimate with. This should also confirm to the industry that Oracle is now definitely much more than a "database" company - if anyone still held that opinion. So, what does the UK Oracle User Group (UKOUG) wish for this? My initial reaction is that this confirms Oracle's commitment to Fusion and Fusion Middleware. This is good for our members. It also opens up the opportunity for Java to become more business-ready, given Oracle's focus on providing more manageable applications rather than more manageable IT estates. We can also look forward to Java becoming more application-focused, giving quicker delivery to business, rather than engineering-focused, which is great for industrial-strength applications but relies on skilled people giving an implicit limited bandwidth. So, does UKOUG regard this as a good thing? Certainly. Much like BEA, which needed a good story for it to continue and to give its customers a solid future, Oracle's purchase of Sun provides Java with a solid future, which Sun started but sadly was not able to guarantee for the future.